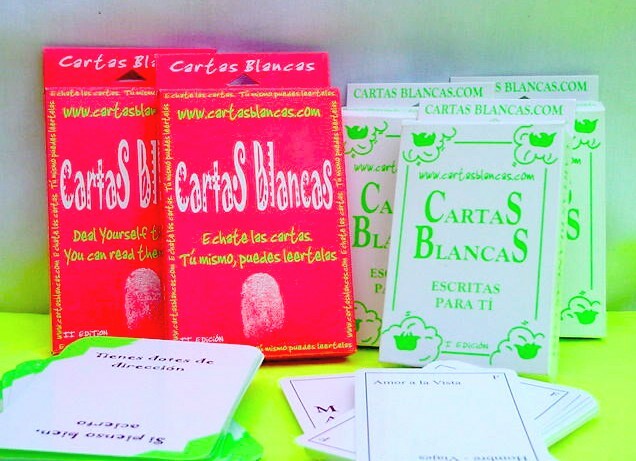 Cartas Blancas self-help cards are based on the idea that positive thoughts are the key to achieving whatever is desired or cherished in life. 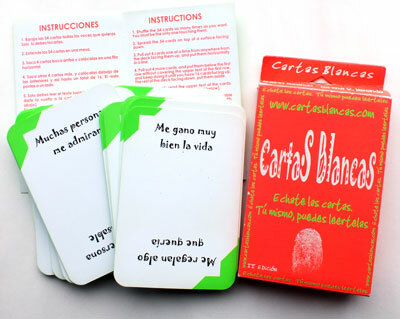 Each card contains 2 positive phrases which the enquirer then relates directly to his/her situation, without the need for any one else's interpretation. 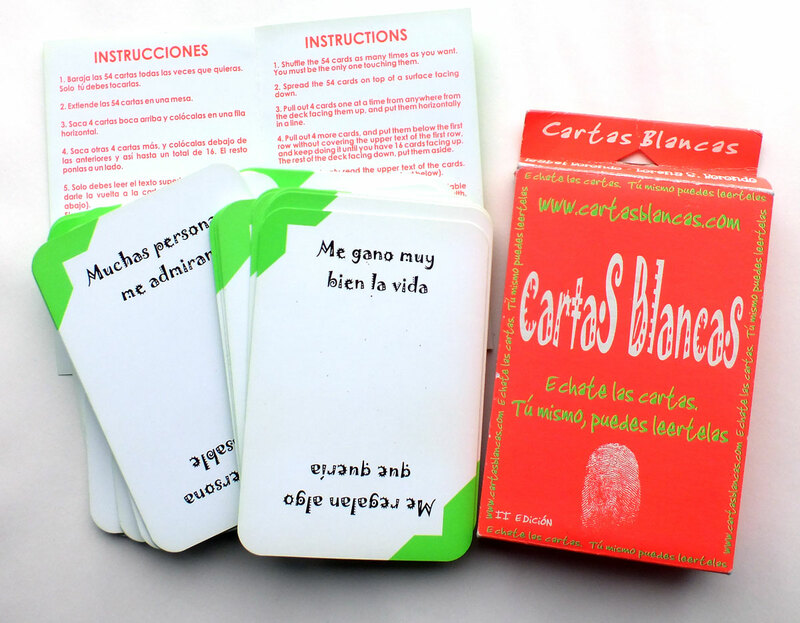 The design of the cards is clear and simple, and an informal typeface has been used.